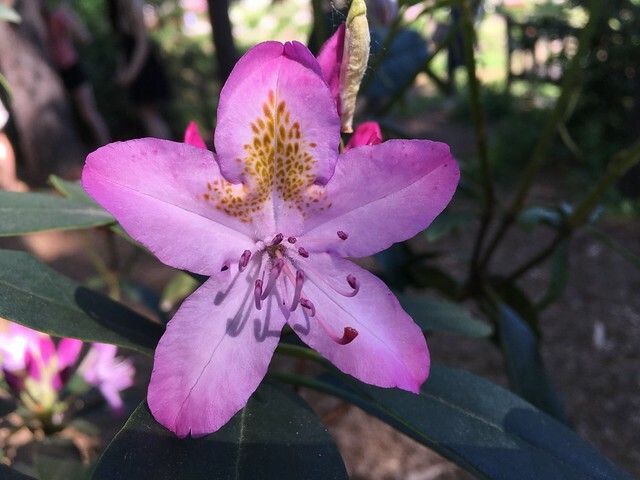 On June 2nd, the CSE staff took a leisurely walk in the Nichols Arboretum to explore the natural environment and to view the blooming Peony Garden. With nearly 800 peonies at peak bloom, the arboretum is home to the largest collection of heirloom herbaceous peonies in North America. The garden can hold up to 10,000 flowers and the plants are arranged in 27 beds with each full bed containing dozens of white, red, and pink peonies. This year 70 varieties of vintage herbaceous peonies were added to the nearly 300 varieties that are currently there, and the CSE staff was able to spend two hours enjoying the flowers and walking the trails. Below are pictures from the outing, including some of the colorful peonies.